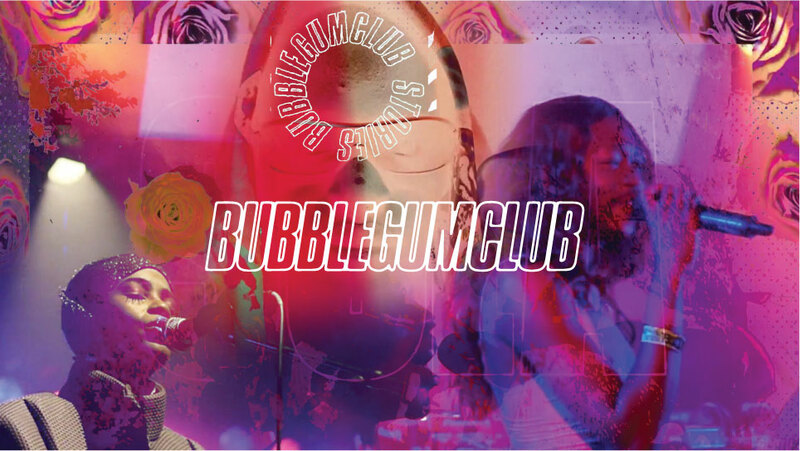 Bubblegum Club is a cultural organisation based in Johannesburg with a multi-faceted approach of working across platforms and mediums. We use our artistic and conceptual practice, and understanding of popular culture, to create content which dynamically and strategically communicates with a youth audience. Although firmly based in the South Africa context, our broad perspectives mean that we are regularly invited to work with international partners. We have collaborated on a diverse array of projects, using our skills to pursue a dynamic range of objectives. As content producers we are regularly involved in creating and curating original, innovative culture. With our digital publication we give a voice to cutting edge creatives from around the world. We also work with brands and organisations to help them interpret and connect with youth culture. Based in South Africa, but with a growing international reach, we are inspired by work that is experimental without being restricted to exclusive spaces. And which is populist without pandering to the overhyped vacuity of the dominant celebrity culture. Our name itself is a homage to the rich legacy of 80s’s Bubblegum Music, which combined cutting edge technology with local and international influences to make electronic music that was both wildly successful and playfully avant garde. Our aim is to update this legacy of popular modernism for a new reality of network culture and hyperstimulation, exposing and championing the treasures that may be lost in the pursuit of the next social media fix. The post-colonial contradiction of South Africa is that despite deep wells of talent, creators feel a lack of self-confidence about their place in the world. A legacy of isolation has encouraged the distorted sense that culture is something taking place ‘overseas’, in the imagined metropole. Despite the global influence of South African music, dance, art and fashion a self-limiting mentality is still evident. Our goal is to help build the self-belief of the talented minds out there in music, art and fashion, and to consolidate South Africa as a voice in global conversations. BUBBLEGUM CLUB BEGAN IN 2015 AS A CULTURAL INTELLIGENCE AGENCY. The initial aim was to provide analysis to help corporate clients interpret and connect with South African youth culture. But as we rapidly received positive feedback about our original visuals and content, our name and reputation quickly grew beyond this initial mandate, leading to the 2016 establishment of our digital magazine. This platform has become an indispensable source of information on some of the most innovative young artists and performers in South Africa, while being increasingly recognised by international creators as a key site for them to reach a discerning audience. Along with this substantial online presence, we regularly strategise and produce creative work for our institutional partners. We have made original content for brands such as Adidas, Sony Music Sweden and Molten Black Property Developers, and collaborated on projects with the British Council, Goethe Institute and Afropunk Festival. As art creators, we work on independent projects with museums and galleries. Our curatorial projects include working with Kampnagel and assisting on African Mobilities at Architekturmuseum der TU München. We have exhibited our work at Unseen and No Man’s Art Gallery, and being featured as part of Aperture’s annual summer Open in New York.